The so-called Islamic State is the enemy of Islam. In fact, ISIS is the enemy of Judaism, Christianity, Yazidism, Buddhism, Hinduism, Sikhism, atheism and all others who oppose its evil and barbaric agenda. 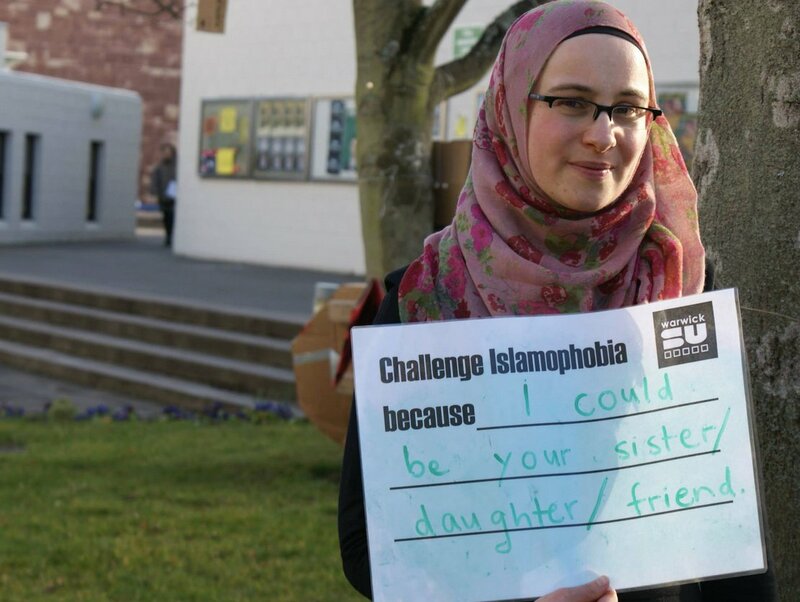 The difference, however, is that Muslims suffer by far the most from ISIS' horrific attacks. We saw that again this past week with ISIS' bloody rampage against Muslims. 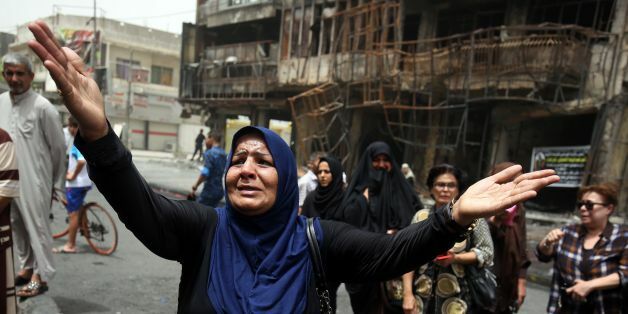 The most horrific incident was over the weekend in Baghdad where an ISIS suicide car bomb targeted the Karrada shopping area, killing over 175 people including numerous children. One moment Muslim families were shopping and socializing after breaking the Ramadan fast at sundown. The next, entire families were gone in a blink of an ISIS bomb. The blast targeted a primarily, but not exclusively, Shia neighborhood. But if you think ISIS hesitates at slaughtering Sunni Muslims, you simply don't know what ISIS has been up to the past few years. The group has brutally murdered countless Sunni Muslims, including three women who reportedly refused to treat ISIS fighters and others who refused to pledge allegiance to ISIS. ISIS is not about submitting to Islam. Rather, ISIS is of the persuasion that you must either solely submit to ISIS, or die. ISIS even reportedly killed three imams "for failing to praise ISIL in their sermons." This undermines the argument that the terror group only kills Muslims who are not sufficiently devout. ISIS is not about submitting to Islam. Rather, ISIS is of the persuasion that you must either solely submit to ISIS, or die. ISIS worships depravity and inhumanity, not Islam. But the Iraq bombing is far from the only instance in which ISIS massacred Muslims this past week alone. If Turkish intelligence is accurate, ISIS also carried out the recent suicide attack at the Istanbul Ataturk Airport. Do you think ISIS cared that it slaughtered innocent Muslims in a bombing that occurred in a nation that is 99 percent Sunni Muslim? Of course not. In fact, of the some 43 killed by ISIS in the attack, some 30 were likely Muslim given the demographics of the countries they hailed from -- and ISIS presented no sign of remorse. This is not to say that ISIS does not murder Westerners, or that their deaths are in any way less horrific. Last week ISIS also carried out an attack in which Westerners -- diplomats and foreigners -- appeared to be the target. The incident, however, took place in Dhaka, Bangladesh, a nation that is 89 percent Muslim. ISIS fighters reportedly asked hostages if they could recite the Quran, and if they didn't, they were tortured. This tactic is part of ISIS' agenda to frame this as a holy war, pitting the West against Islam. Horribly, 28 people were killed in that attack, many of whom were foreigners. In the same attack, ISIS did kill several Bangladeshis, including two police officers who died fighting the terrorists. The large death toll caused by ISIS this past week gives a good snapshot of what Muslims have endured for years at the hands of ISIS. ISIS murdered approximately 30 Westerners between Bangladesh and Istanbul. In that same time frame, ISIS slaughtered over 200 in Iraq, Turkey and Bangladesh, many of whom were likely Muslim. (Although not clear yet, ISIS may also be responsible for the three bombings in Saudi Arabia that occurred Monday). Bottom line: ISIS killed far more Muslims than non-Muslim Westerners in the past week. Muslims suffering the brunt of the violence carried out by ISIS, Al Qaeda and other terror groups is nothing new. A 2011 report by the U.S. government's National Counterterrorism Center found that: "In cases where the religious affiliation of terrorism casualties could be determined, Muslims suffered between 82 and 97 percent of terrorism-related fatalities over the past five years." Bottom line: ISIS killed far more Muslims than non-Muslim Westerners in the past week. And the United Nations, after an extensive study of the civilian deaths in Iraq from January 2014 to October 2015, released a report in January 2016 that was simply jaw dropping. Almost 19,000 civilians were killed in that period, with much of that reportedly due to ISIS. Keep in mind Iraq is 99 percent Muslim. The U.N. report noted that ISIS committed "systematic and widespread violence and abuses of international human rights law and humanitarian law" that may constitute "war crimes, crimes against humanity, and possibly genocide." The killing of Muslims has not let up since. In a two-week period in February/March of this year, ISIS slaughtered over 200 Iraqi civilians. In May, ISIS unleashed a wave of bombs at outdoor markets in Baghdad, killing somewhere close to 70 Muslims. And these numbers don't even include the Muslims ISIS has murdered in the brutal killing fields of Syria. Reading these numbers though does not give you a sense of the grief and suffering ISIS has caused to Muslims. Countless Muslim families are grieving for their sons and daughters taken by this barbaric terror group. There are now children growing up without a father or mother thanks to ISIS. Add to that, Muslims in the West have suffered a backlash caused by ISIS' immoral and un-Islamic actions that have inaccurately defined Islam in the minds of many and fostered Islamophobia. Over the past week alone, Muslims in the United States have been beaten up or shot in possible hate crimes in Minnesota, Florida, Brooklyn and Houston. ISIS is neither about the tenets of Islam nor helping Muslims. It's about power: militants will slaughter as many people as possible -- especially Muslims -- to achieve that which they so desperately crave. So let's be clear about one thing: No one wants to see ISIS defeated more than the Muslims who bury loved ones daily because of the horror ISIS is waging upon them.